I’m getting sick, not from any viruses, colds or catastrophic illnesses. But I’m sick of arguing with my friends over health care. It’s not about whether or not “Obama Care” is working or not working. Change causes all kinds of opportunities for all sides to find exceptions to the rules. That’s what American politics is all about. But I think it’s fair to say that the bottom line is that President Obama’s health care plan isn’t doing what it is supposed to do. I don’t just blame Obama. I also blame the Republican obstructionists who have made Obama Care a political issue they plan to use to advance their own selfish political agendas. What’s the real answer? It’s simple. Nationalize healthcare. Make one system available to everyone regardless of whether or not you have a pension benefit, are still working or are unemployed. Everyone should have complete and total access to health care and health treatment. Both sides have good arguments and both sides have responsibility for today’s problem. Stop making it a political issue. There was a time when a person couldn’t get health insurance because an insurance company making billions in profits decided that you have a pre-existing condition. That person would then take their chances and maybe survive and maybe not survive. In the end, when they didn’t survive, their problems fell on the backs of the taxpayers anyway. I get that young people don’t want to be bothered with health care or health insurance. Why should they? They’re young and the vast majority are healthy and will remain healthy for a very long time. But when they do get sick, and they don’t have insurance, who is going to end up paying for them? Not them. You and I will, the taxpayers. In the end, the taxpayers will have to pay for health care. So why not just impose one flat tax across the board, eliminate the billing system from hospitals and doctors and make them either provide health care here or leave. Yes, leave. I always wanted to be a doctor. It wasn’t because I wanted a big mansion or to drive a Maserati. I loved science, biology and chemistry. I ended up stumbling into journalism, a profession that it turns out is as contentious as the medical field has become today. 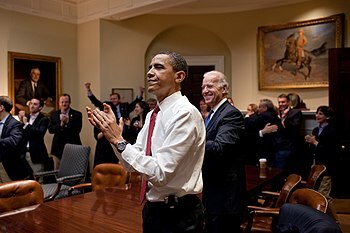 The answer to the problems of America’s health care problems isn’t to blame Obama, the one many who actually tried his best to do something. For that, he should be admired and praised. At least he is trying to do something. My friends across the political aisle keep saying the Republicans offered a real alternative. A “real” alternative? Are you kidding me. All they wanted to do was use health care as an issue to take back control of the White House and the Congress. They don’t care about the poor who can’t afford today’s health care costs. So my plan is simple. Impose one tax across the board. Every human being pays a tax based on their income. The more you make the more you pay, but the same percentage as everyone else. Maybe a flat tax of 5 percent across the board. You make $200,000, you pay $5,000 a year in a health tax. You make $1 million a year, you pay $50,000 a year in health care taxes. Limit profits and cap the costs on prescriptions. That’s my plan. The problem with it is, it’s too much common sense. 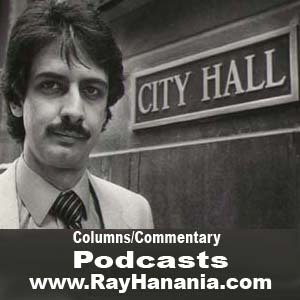 Ray Hanania is a former Chicago City Hall reporter. Reach him at http://www.TheMediaOasis.com.